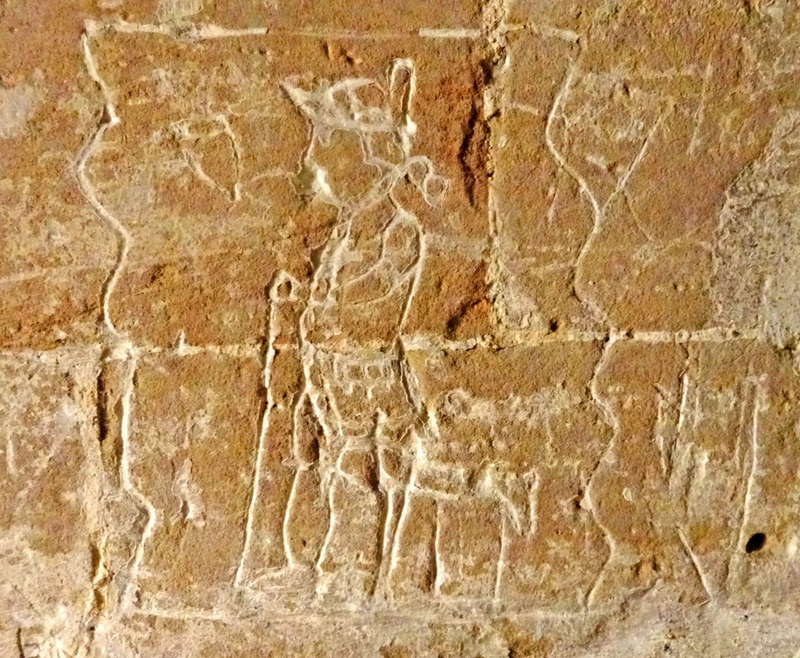 The outline of a gentleman with a walking stick carved into the wall at Market Hall Museum, wearing a tricorn hat and smoking a pipe. 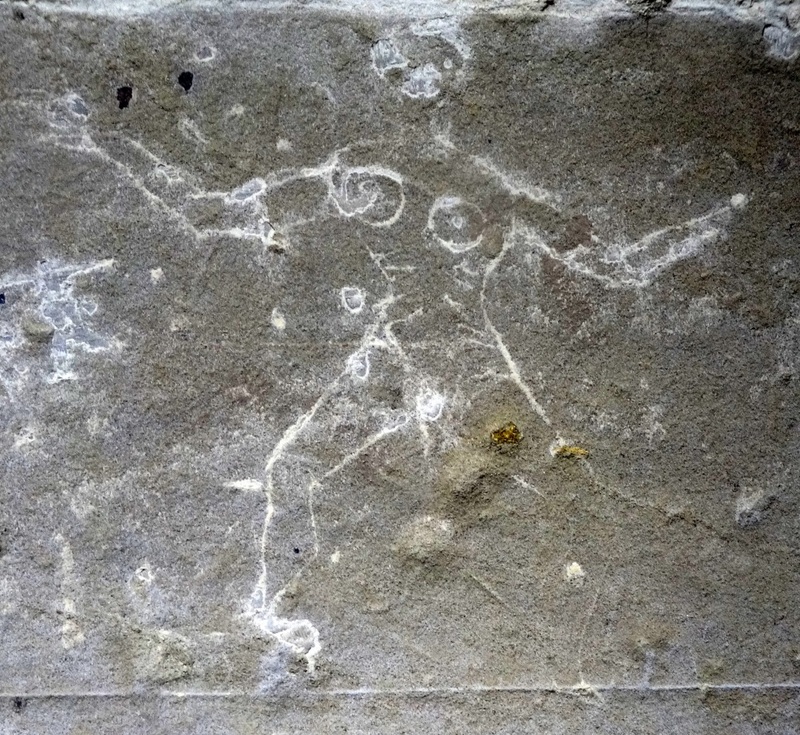 The outline of a woman carved into the wall at Market Hall Museum. Warwick’s Market Hall was built in 1670, and in 1836 the upper floors were rented to the Warwickshire Natural History and Archaeological Society to become the first Market Hall Museum. Between 1670 and 1836 the Market Hall had lots of different uses, from storing goods to being a venue for cockfighting, and it was even a prison. From the early 18th century a small room inside the central block of the building became a prison, and up until 1848 this held people until they went on trial before the magistrates. Measuring only 8ft 8in (2.7m) by 3ft. 8in (1.2m) it held up to 13 people at a time! The prison was nicknamed ‘The Black Hole’ and the then administrative body, the Court Leet Jury, complained every year (between 1833 to 1848) that it was a disgrace. Eventually the facility was moved elsewhere1. To while away the hours, a few of those incarcerated decided to get artistic and leave their mark. To this day we have some of the interesting graffiti they left behind, scratched into the stone walls. One noted piece is of a man in a mid 18th century tricorn hat with walking stick and pipe, and another is an outline of a woman. 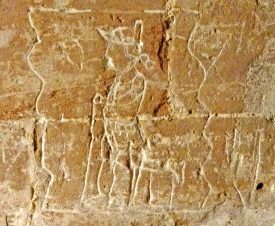 Since 1965 this central room has housed our boiler so is no longer accessible to the public, but the graffiti has been documented by Archaeology Warwickshire. 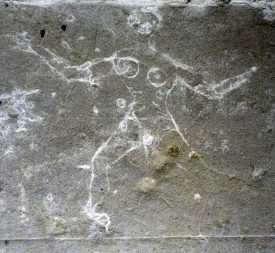 As the graffiti cannot be on open display, here are some photos. 1 Archaeology Warwickshire (2006). Archaeological Assessment of the Market Hall, Market Place. Warwick: Warwickshire County Council, Report 0643.